Miami Wrongful Death Attorney | Lipcon & Lipcon, P.A. I consulted Mr. Lipcon after reading his great reviews. He is indeed fast to respond and honest. Thank you for your insight. Highly professional and expert lawyer. Got us the desired result and really cared about our situation. Highly recommended! Our award-winning personal injury attorneys will help you through the legal process of filing a wrongful death claim. When you need the best Miami law firm for aggressive representation in your wrongful death claim then you can trust the honest lawyers at Lipcon & Lipcon, P.A. to fight for your rights. Lipcon & Lipcon, P.A 5/5 stars – based on 24 reviews. You’ll work personally with a lawyer that cares about your family and your case. A wrongful death case occurs when a person is killed by another’s misconduct or negligent actions. In the state of Florida, the court system allows only certain people to file this type of claim. The court also will only allow certain types of damages to be awarded. There are strict deadlines to adhere to. The task of navigating the legal system to properly file a claim and collect damages in a wrongful death case is not an easy one. This is why you need a skilled Florida wrongful death attorney to help with your claim. You should never have to go through the complicated process of a wrongful death claim alone during your time of mourning. 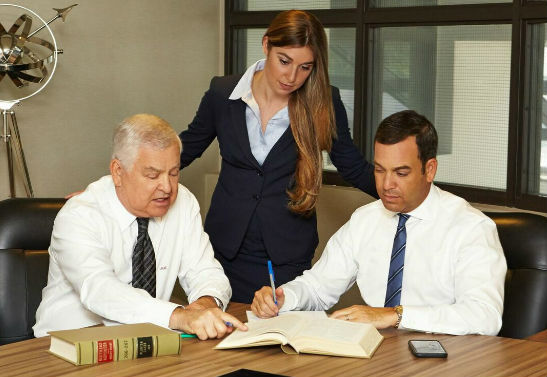 Let a seasoned Miami wrongful death lawyer handle your case so you can concentrate on your family during this time of hardship. How Can A Law Firm Help You File a Wrongful Death Lawsuit? If you’ve lost a loved one due to someone else’s negligence or harmful misconduct, then you could have grounds for a lawsuit. Many people in Florida are unaware that the legal system allows them to collect damages in such cases. Wrongful deaths cases are tragic and can cause more than just emotional damage. Medical expenses, lost wages, and future loss of income can all greatly impact the surviving family members. A skilled wrongful death attorney can help you recoup these damages with a lawsuit. You can be financially compensated for your emotional pain and suffering as well as monetary losses. What Are the Elements of a Wrongful Death Suit in the State of Florida? What Damages Can a Skilled Lawyer Recover in a Wrongful Death Claim? There are multiple types of damages that can be recovered in wrongful death suit. Financial injury, otherwise known as pecuniary injury, is the primary measure of wrongful death damages. This type of damage includes loss of support, funeral expenses, medical bills, loss of inheritance, other services, and interest. Survival actions may also be awarded to compensate for the personal injury of the survivors. In addition to pecuniary injuries, the Florida courts can award punitive damages in wrongful death cases. Punitive damages are a type of damage that are intended to punish the defendant for their wrongful or negligent actions. Certain states do place a statute of limitations on the collection of punitive damages. This is another reason that it is imperative for survivors of wrongful death cases to file in a timely manner. We offer free consultations to the survivors of wrongful death situations. Our seasoned lawyers at Lipcon & Lipcon, P.A. can help you determine if you have a valid claim. We’ll fight for fair compensation for your family. Call (305) 670-6144 to schedule your consultation.